For once, there was an amazing amount of cooperation abundantly evident between India and China. An Indian media hungry for headlines and near continuous feeds were given more than enough opportunity to cover the Wuhan event. Pictures of the two leaders strolling through gardens, museums and even trying a tune on tinkling bells covered our screens, courtesy of Chinese media management. Chinese media was no less. Even the People’s Daily deigned to provide front page coverage of the event. As our media talkathons pointed out, none of this obscured the fact that the two countries had been on an extremely tense situation less than eight months ago. The word ‘reset’ was everywhere being bandied about to indicate a climb down by both sides after an increasingly tense relationship following the Doka La encounter that began in mid-June 2017. Certainly, Wuhan is a type of engagement that is new to India-China relations, and reflects Beijing’s public acceptance of India as a major power – at least in the Asian region. 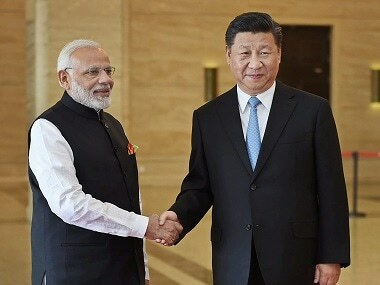 The informal summit style, the breaking of protocol in terms of welcome to the Indian leader, and a reversal of the acrimonious tone in Chinese media, all seems to indicate that Beijing has calculated that the Indian prime minister would welcome such a public acclamation just prior to elections. 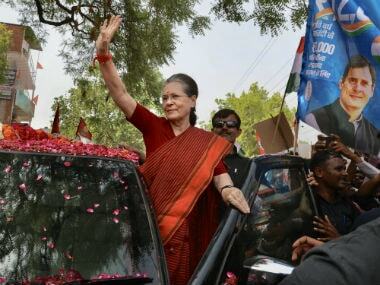 It is also equally a quiet acceptance that Prime Minister Modi is there for the long term, at least for the next five years. Oddly, the same perception may have driven Indian diplomacy in recent months. Foreign Secretary Vijay Gokhale arrived in Beijing just days before the important vote to do away with the tenure limitation for President Xi’s term. This was followed by the scramble to put off the seminar of a well-known think tank, and the cancelling of two Delhi events of the Tibetan refugees – one an interfaith event on 31 March and a much larger event on 1 April to be attended by the Dalai Lama. 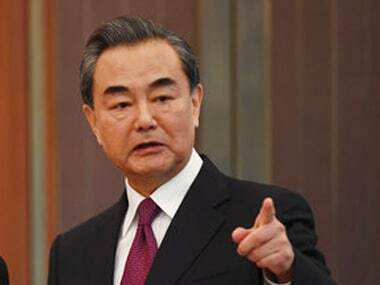 All of this seemed to be a pointer to the fact that New Delhi was clearing the decks for an engagement with the new near permanent dispensation in Beijing. The Wuhan meeting’s actual outcomes will only be apparent in the months ahead. In public talks and tweets, Prime Minister Modi in his customary style, opted to raise ground level issues through the “STRENGTH “ strategy, which stands for Spirituality, Tradition, Trade and Technology; Relationship; Entertainment; Nature conservation; Games; Tourism and Health and Healing. Foreign affairs experts tend to look down on such ‘deliverables’ as increased people-to-people contacts, preferring instead the language of grand trade or connectivity deals. 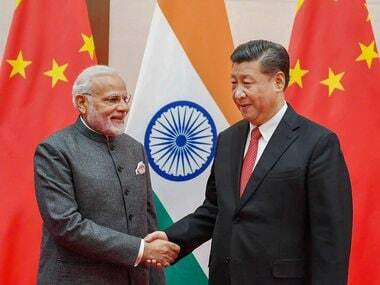 It is as well to remember, however, that the amount of travel between the two countries has increased exponentially, with the number of Indian tourists alone to China expected to reach 50 million, given a year-on-year 4.6 percent increase. This is the stuff of bilateral strength, different from grand joint statements which may or may not be implemented. Ties are created by the people, and the 2015 decision to provide Chinese with visa on arrival probably added to the revere flow, which was 2 lakh last year. Business travellers are probably double this, but surprisingly, that figure seems to be unavailable. Available reportage points to the fact that while Chinese direct investment remained at around a paltry $2 billion, there are hundreds of “angel investors” willing to put up small amounts of about a million each for start-ups and quiet capital. Both Indians and Chinese prefer to keep their investments under wraps after various parts of government objected to Chinese investment. That needs to change. Either you need their money or you don’t. Not that connectivity issues are to be ignored. The recent statement from the Ministry of External Affairs indicated that India’s position on the mega ‘Belt and Road Initiative’ remains unchanged. That position is in itself a bit complicated since it goes beyond the clear infringement of sovereignty issues — with reference to the China Pakistan Economic Corridor going through Pakistan Occupied Kashmir – to include “universally recognised international norms, good governance, rule of law, openness, transparency and equality”. Far clearer are the following paragraphs which state that “connectivity initiatives must follow principles of financial responsibility to avoid projects that would create unsustainable debt burden for communities; balanced ecological and environmental protection and preservation standards; transparent assessment of project costs; and skill and technology transfer to help long term running and maintenance of the assets created by local communities”. It's a very principled position, and one that India has tried to follow in its own aid and assistance programmes. The trouble is that China has so much more on offer. Its recent setting up of an aid agency to hand out those billions will be up and running soon, while India’s own Development and Partnership Administration in the Ministry of External Affairs has to struggle with prioritising a Rs 15 crore budget. It's time to move this out into a separate aid agency, with a tight staff and a generous budget. As India jostles for space in its own traditional backyard, this is the key to get that valued space. We may have far less in dollar terms, but we have fewer countries to spend it on. Chinese ‘aid’ – defined loosely – was spent in some 138 countries. We need to concentrate on only about half a dozen. Given this government’s focus, the likelihood is that the talks at Wuhan focused on how to get rid of that embarrassingly large trade deficit which stands at around $50 billion. At the recent meeting of one of the oldest bilateral groups – the Joint Working Group on Economic Relations and Trade, Science and Technology — Chinese minister Zhong Shan seems to have been given a spirited account of ways of dealing with this very central issue. The suggestions have been for India to provide among other things, agricultural produce and high quality pharmaceutical products as well as focusing on India’s IT and IT Enabled Services (ITES). In mid-April, at a meeting between Niti Aayog and China’s National Development and Reform Commission, the suggestion had been made that India could make up for soybean shortfalls in China, at a time when Beijing had slapped a 25 percent tariff on farmers in Iowa and Ohio. Taking advantage of trade tensions between the US and China is logical, but so far, this is small fry. India is not yet able to compete in terms of high value exports like automobiles for the Chinese market. Far better was the suggestion from NITI Ayog vice-chairman Rajiv Kumar that China invest in areas such as housing. Meanwhile, all indications are that New Delhi at least has a vision for the long haul. The prime minister’s own enunciation of a “new Panchsheel” built around “shared vision, better communications, strong relationship, shared thought process and shared resolve” may seem rather flowery for a relationship that is to be based on pure national interest. But it is certainly far better than the language of a “friendship that is higher than the mountains and deeper than the sea” that has become standardised in Beijing’s dialogues with Pakistan. That fractious country is likely to take umbrage at the vision of China-India friendship beaming on their China supplied televisions. Islamabad is likely to view this immediately in a zero sum perspective, implying that what is good for India is bad for Pakistan. It some areas of Chinese assistance, that is probably true. For Beijing, that is going to lead to making some serious choices.